Paper receipts do some serious environmental damage. Every year in the United States alone, we waste 1 billion gallons of water, 10 million trees, and 250 million gallons of oil on something that’s ultimately going to be thrown in the trash. In fact, paper receipts account for 1.5 billion pounds of environmental waste a year. Those are some pretty staggering stats. We’re all about paper receipts going extinct — especially those ridiculously long ones. Which is one of the reasons why we included it as a part of Square’s complete pos software. Square sellers now send over 10 million digital receipts per month. Think about all the trees you’re saving. 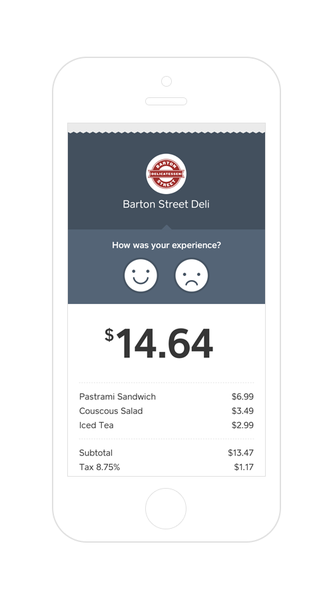 What’s more, Square’s digital receipts are loaded with extra goodies, including a place for customers to send feedback about their experiences. Let’s get rid of paper receipts for good, with Square’s pos software. What Does Your Square Receipt Look Like to Your Customers?